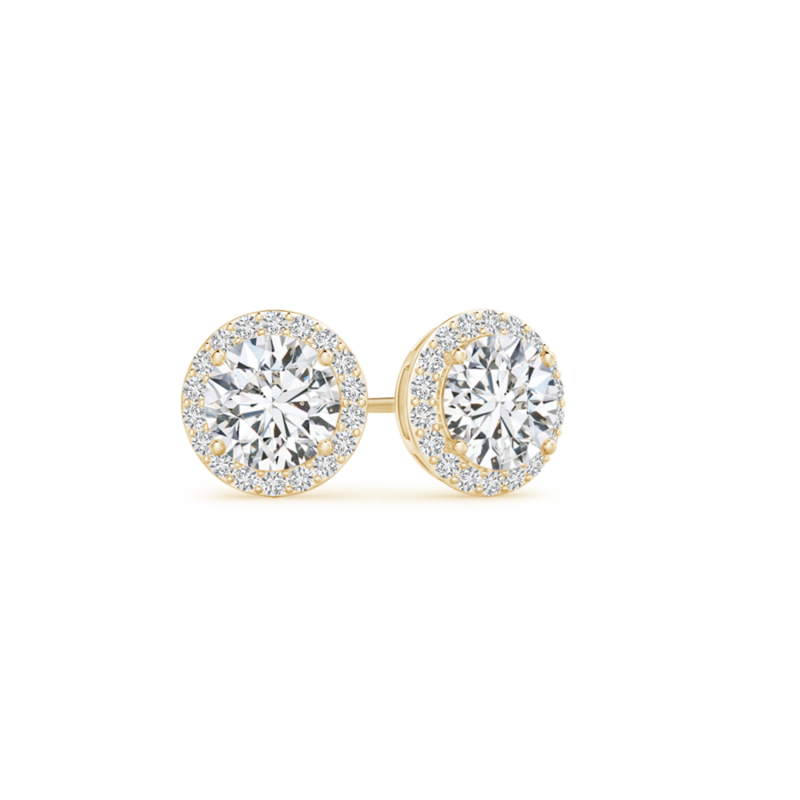 Encircled with many diamonds around the center diamonds, this pair is set in 14k gold with a hint of luxury. Featuring a vintageinspired design, these lab grown diamond halo stud earrings glimmer like clusters of stars. Studs have been renowned for their graceful appeal since the beginning of time. Back in 1500 B.C.E, Egyptians wore mushroomshaped studs along with elaborate pendants. Soon, Etruscans and Greeks introduced a new kind of artistry to these studs and they were adorned as a sign of affluence. Today, they are available in a variety of designs, with vintage and floral diamond studs being the favorites. This stunning pair of product draws focus to the elegance of this jewelry style and reminds us that their appeal will remain timeless.